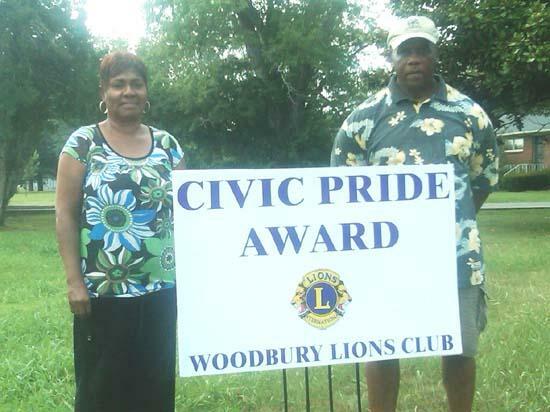 The Woodbury Lions Club Civic Pride Committee presents a sign to citizens of Cannon County who take pride in their home or business and landscape. A civic pride is awarded each month. Lions Club members can nominate a property or residents of Cannon County can nominate a property to the committee. Joe and Genola Sanders were presented the Civic Pride Award on August 11th 2010 at their home on Murfreesboro Rd.